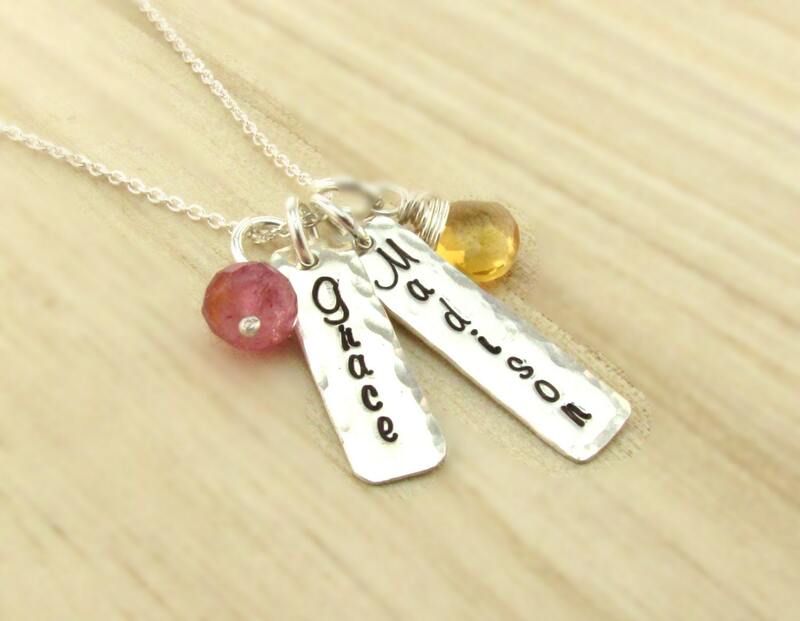 Elegant handcrafted sterling silver bar and birthstone necklace including beautiful gemstones, set on a fine but sturdy chain and personalized with your choice of dates, letters, monogrammed initials, names, words, coordinates or other combination of text and characters. ~ For added safety, jump rings have all been soldered closed. *****PLEASE NOTE***** all photos have been enlarged in order to show detail. It is VERY important that you refer to dimensions listed above for correct sizing. *2014 Copyright on all original designs and photographs held by TNine Design Jewelry and are not to be duplicated. Lovely necklace! It arrived quickly and is just as pictured. Thank you!